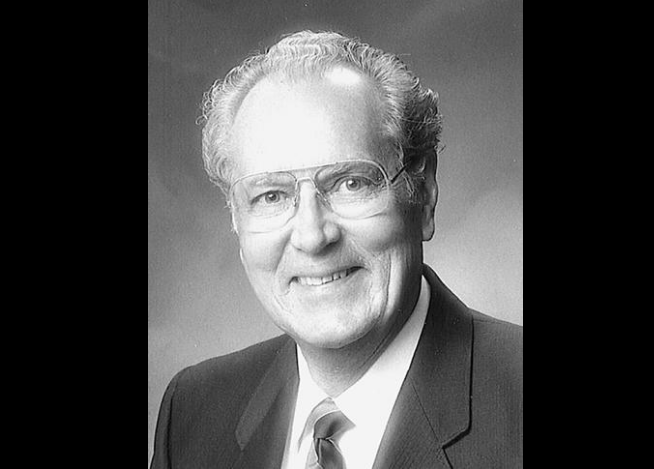 Elder Lynn Andrew Sorensen,who served as General Authority from 1987-1992, died peacefully on Jan. 4, 2017, in Holladay, Utah, at the age of 97. Sustained to be a General Authority Seventy on April 4, 1987, at age 67, Elder Sorensen served in that capacity for six years. He served in various assignments in his role as a General Authority: as second and then first counselor in the Brazil Area, as a member of the Correlation Executive Committee, as first counselor in the North America Northeast Area and as assistant executive director of the Correlation Department. He received emeritus status on Oct. 3, 1992. Born Sept. 25, 1919, in Salt Lake City to Ulrich Andrew Sorensen and Fannie Boam Sorensen, he was the oldest of four children. As a young man he graduated from South High School and later attended the University of Chicago for two years prior to his mission. In 1940, Elder Sorensen served his first mission in Brazil only a few years after the Brazilian Mission had been created. After returning home from his mission he served as an instructor in the U.S. Air Force during World War II, and then graduated with honors from the University of Utah. He married Janet Weech in 1943, and together they have nine children. Sister Sorensen died on April 23, 1997.